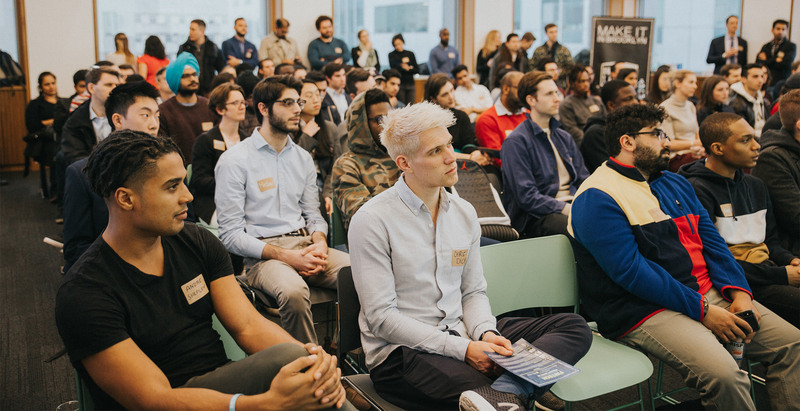 The financial center of New York City crossed the river to Downtown Brooklyn recently, when Madeleine Barr convinced a panel of investors, businesspeople, and professors that her jargon-translating approach to tackling student debt has the promise to become a hit technology. 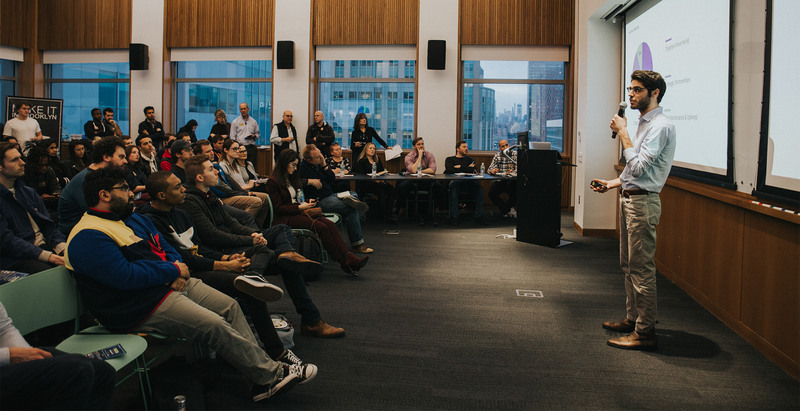 Barr’s startup, Piecewise, came out of the Make It in Brooklyn FinTech pitch contest the winner, taking home $5,000 in prize money – courtesy of keystone sponsors JPMorgan Chase and NYU Tandon School of Engineering - free legal advice from Brooklyn Law School, and a fellowship at the Startup Institute. Nearly 100 people filled the room on the 12th floor of the NYU Center for Urban Science and Progress, at NYU’s 370 Jay Street building, which is projected to be fully opened later this year. Piecewise makes student debt more comprehensible and therefore easier for the borrower to repay. One of Barr’s more striking presentation slides was a photo of a piece of mail she’d received outlining her own student debt - a Kafkaesque document of charges and acronyms, that contained no obvious indication of the simple measures of how much she’d paid and how much she had left to pay. Barr’s pitch is that a simpler way for borrowers to check, understand, and repay loans will lead to less interest charges for the borrower and fewer defaults for the lender. Ultimately, the lender of student debt is the target customer, buying access to the Piecewise API to allow borrowers to view their status. One of Barr’s competitors, 19-year-old NYU student Michael Hatoum, garnered strong praise from the judges for his concept, WalletWorth, a platform to simplify financial strategy decisions by taking users through an easy-to-navigate questionnaire of their finances and preferences. Other competitors included: Sam Wils’ WingaDoos, an interactive game that teaches children the basics of finance and how to make good decisions with money; Ken Kruger’s Moon, a browser extension that allows users to spend cryptocurrency anywhere online; and Mik Breiterman-Loader’s Vestive, a financial product supporting sustainable, ethical investing. 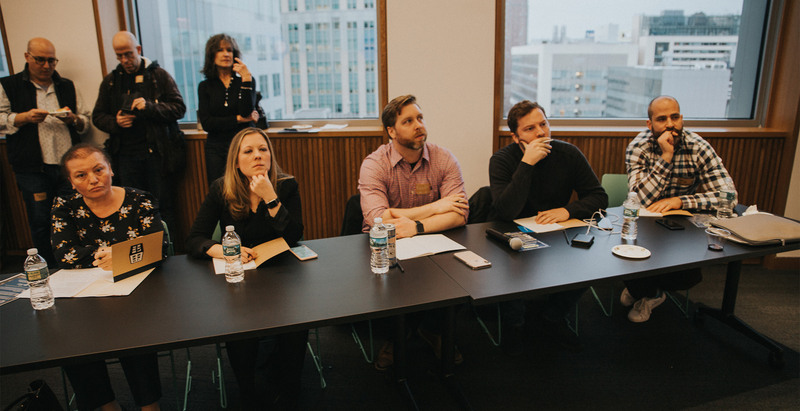 Judges for the competition were Jon Zanoff, the Managing Director at TechStars FinTech accelerator, Victoria Cerullo, the Director of Business Strategy at Bloomberg LP, Jeremy Harper, a principal at Entrepreneurs Roundtable Accelerator, Hatice Uzun, professor of Finance at LIU Brooklyn, and Kevin Siskar, managing director of Founder Institute New York. Annie McDonough, tech reporter for City & State, was emcee for the night.